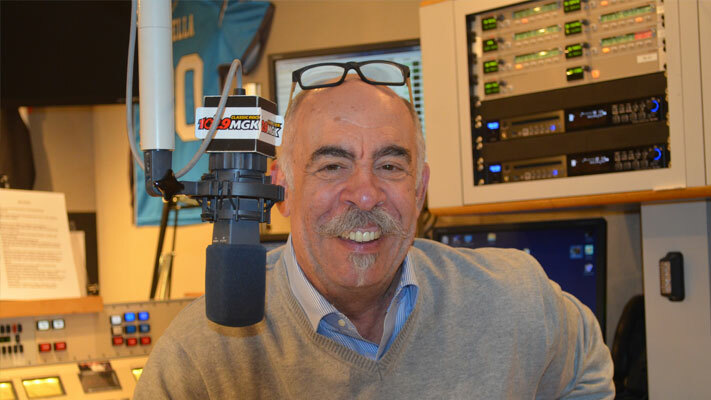 "Let&apos;s get one thing clear from the start," says iconic morning radio personality John DeBella. "It&apos;s called a dog walk. But it&apos;s not a dog walk." From behind his trademarked bushy moustache, which makes him look somewhat like the world&apos;s friendliest Schnauzer, he clarifies: "People think that the dog walk is, ‘Oh, everybody goes out and takes their dog for a walk.&apos; And that&apos;s not what it is. You may be taking your dog for a walk, and I may be taking my dog for a walk. But we&apos;re not all walking together." 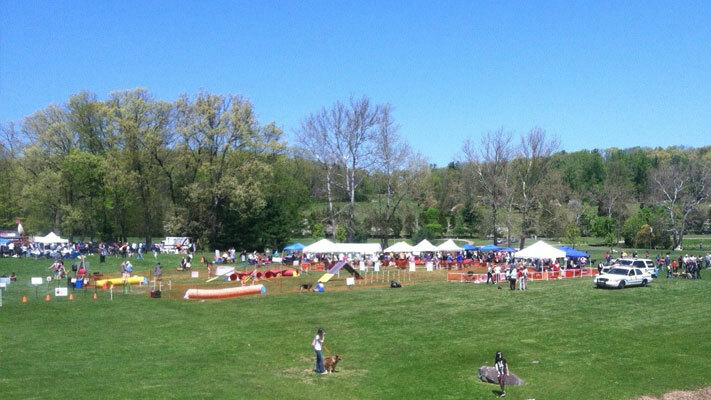 The event in question, the 14th Annual WMGK DeBella Dog Walk, is actually something more like a dog party. 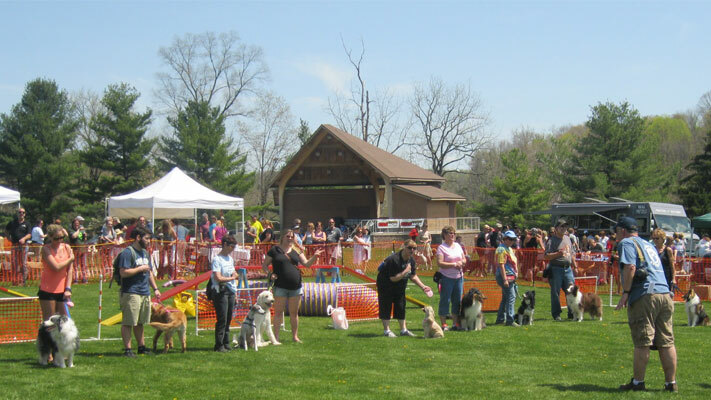 At its core, the DeBella Dog Walk celebrates the unique dog-human bond in all its forms and facets. "We started in Fairmount Park," DeBella says, tracing the history. "And that first year, about 400-500 people showed up. And it just built from there; it got bigger and bigger." When the party outgrew the park, a new site was needed. "We came out to Green Lane," he recalls. "And I didn&apos;t even know it existed. And now I refer to it as the jewel of Montgomery County. It is the most incredible space. "And I said, ‘You have to understand: Up there, every other house has a dog. And the ones in between have two. This is the perfect place for us to be.&apos;"
The first year at Green Lane, attendance swelled to 3,000. Now, the day&apos;s programming draws 5,000-6,000 people. "The best part of it is, they don&apos;t all show up at once," DeBella says. "So it&apos;s easy in, easy out. There is plenty of parking. People come in and walk around and stay an hour or two and then shift out. So you never get this feeling like you&apos;re being overtaken by all this crowd." 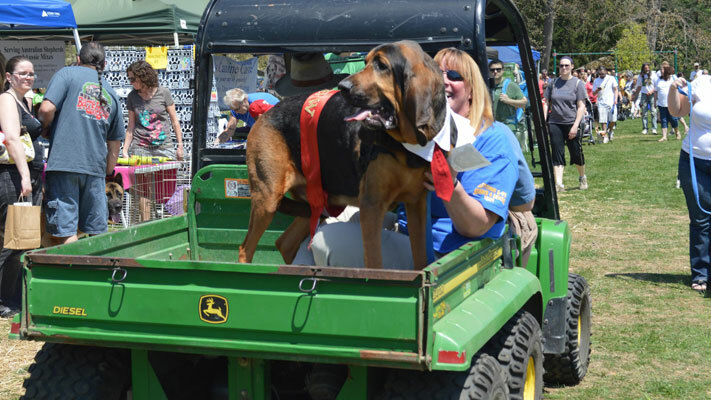 Amid the vendors, demonstrations, and fun and games, rescue organizations will be on hand, supplying information and introducing the public to breeds in need. This aspect of the day - the re-homing of surrendered dogs - is very close to DeBella&apos;s heart. As a breeder himself who also married a breeder (him, King Charles Cavalier Spaniels; her, Old English Sheepdogs) this outreach resonates with him personally. I ask DeBella about the source of his passion for pooches. "I loved dogs as a child," he answers. "I was the kid who always had a dog follow him home. "I had more dogs named ‘King&apos; than anyone could imagine. Every supermarket back then had a pet supply aisle that sold dog collars. And the dog collar had a metal tab on it that you could put the dog&apos;s name on. "And with a hammer and a screwdriver, I could bang a name onto it. "And King had the least curves in the letters. So every dog I begged to adopt was named King. "And we&apos;d go out and find the person it belonged to." As DeBella launched his career, though, he found room in his heart (and his living space) for dogs of his own. His past menagerie has included a Springer Spaniel named Berkeley, another Springer (Valentine) and five Old English Sheepdogs. He now has a pair of Portuguese Water Dogs (Harley and Ditto). "Harley is the most perfect dog you&apos;d ever want to own," DeBella explains. "And Ditto is the mistake that all the people make when they think they can do this again. He is incorrigible; he is very, very smart. And that&apos;s dangerous for a dog. He&apos;s always getting into trouble; there&apos;s all sorts of mischief going on. That&apos;s a difficult breed to have; they are perpetual teenagers. But they&apos;re great dogs." I ask DeBella what he loves most about his dog walk. "It&apos;s a great day out," he answers. "One of the high points for me really is meeting the listeners and seeing the pride they have in their dogs and how happy they make them. "I end up spending so much time hugging and playing with these dogs that I arrive home covered in hair. To keep from bringing anything harmful into the house, I strip down - literally strip down to my underwear - before stepping back into the house." DeBella&apos;s canine cotillion is free; dogs that attend must be well behaved, leashed (no longlines; no retractable leashes, please) and up to date on vaccinations. For another dog-friendly event in the county, consider the three-mile walk that is part of this weekend&apos;s Valley Forge Revolutionary 5-Mile Run®. Leashed pets are welcome to join walkers as they stroll by the Muhlenberg Huts, the Washington Memorial Arch and the Pennsylvania Columns. Walkers who bring dogs can request parking passes to facilitate transporting their animals. The walk begins at approximately 8:40 a.m., after the runners set off on the course. Online registration for the Rev Run (including the walk) will close April 13; in-person registrations will still be taken during packet pickup, scheduled at the VFTCB office (1000 First Avenue, Suite 101, King of Prussia) on April 15-16.